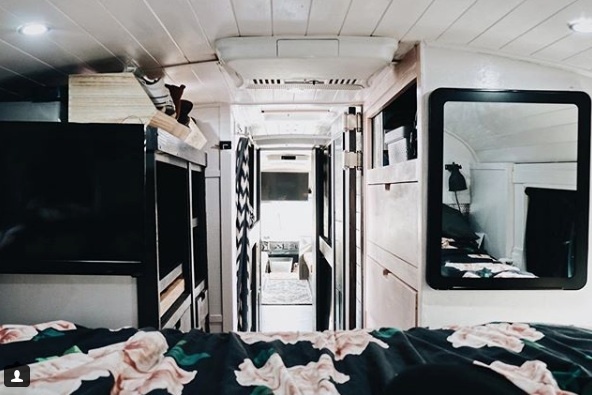 Family of Five Living in their DIY School Bus Conversion! This is the story of Trebventure. They are a family of 5 who live full time in their DIY converted 1999 Blue Bird school bus. 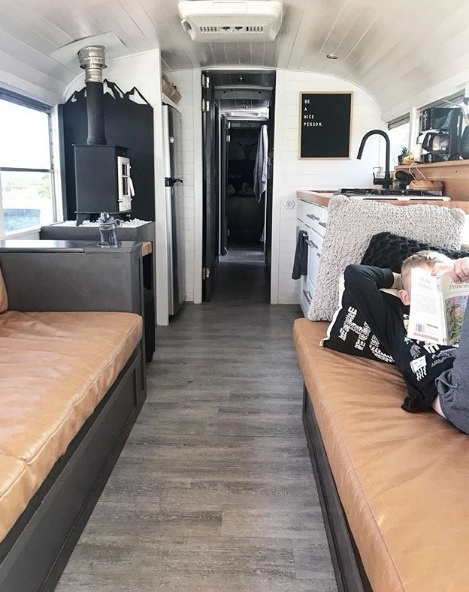 Parents, Brandon and Ashley, decided to ditch the public school system and homeschool their 3 children all while traveling around the United States in their skoolie. 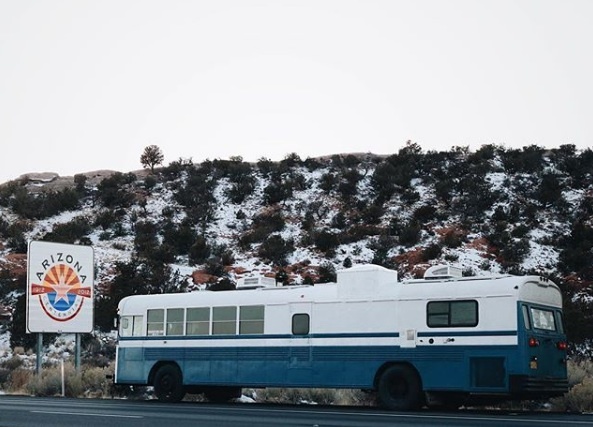 Trebventure: The Family of Five Who Left The Traditional Life by Converting a School Bus into their DIY Motorhome! Our big thanks to Brandon and Ashley for sharing with us! I’m impressed. Fitting a family of 5 comfortably in such a small space is no easy feat. Nicely done! I didn’t see a washer/dryer combo or even individual units. Were there any on the bus? Looks like a cool conversion. Like the way they photographed it in sections before and after photos. Didn’t see the emergency door (left side of bus) after the conversion. Is it still there or did they block it off? Those bunks look comfortable and just right for the kids. And all that storage is good use of space. Plus, I’m assuming they can use the storage under the floor as well – access from outside. 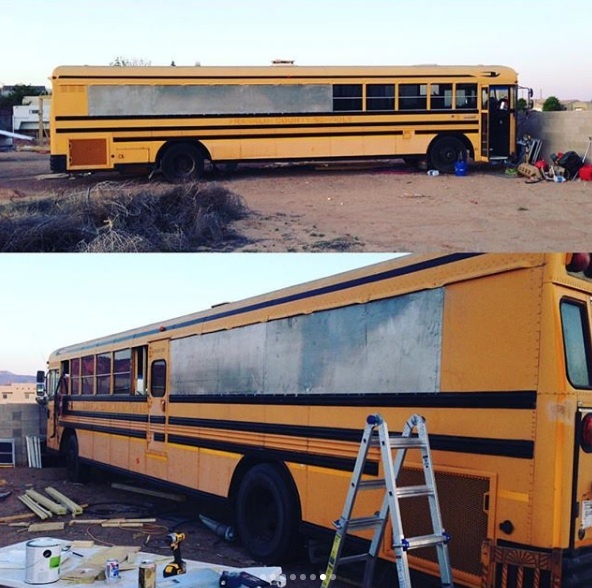 While school buses do not have under floor storage… So, unless they mounted something underneath then there’s no storage below them… Trade off from commercial buses that do have the lower storage compartments is school buses can handle rougher roads and you can reach more off-grid locations. 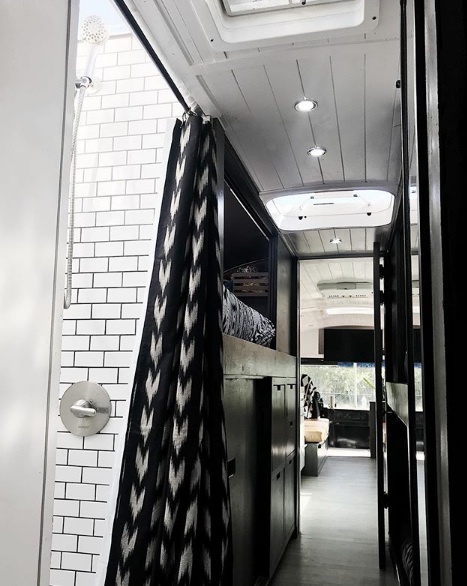 Though, you are more likely to require a roof raising with a school bus but otherwise they are easier to acquire at generally lower price and easier conversion than the commercial buses. You did a fantastic job. Got a lot out of the old girl. that is amazing.now the kids can actually experience the world instead of sitting at home watching it from their tablets.they will have many fun memories of their childhood. Sooo cool!! I know the kids are loving it! The bus is beautifully done and decorated. Love the kids’ bunks. Kitchen is great! I am so envious! Take me with you. Lol! This is very impressive. They really considered the space and incorporated some privacy. Well done! 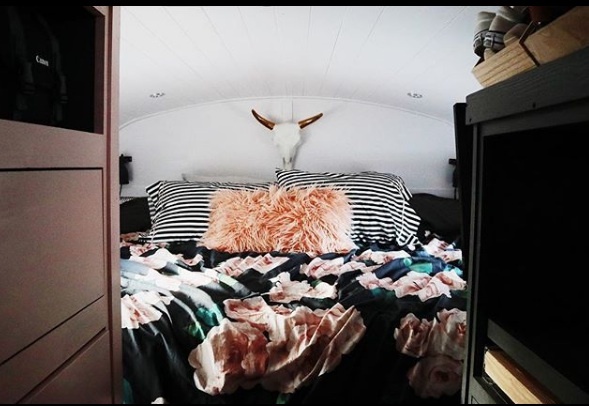 Next post: Aurora Tiny House Tours in Calgary, Alberta! Older post: Stackable OPod Tube Tiny Houses Built Using Concrete Water Pipes!